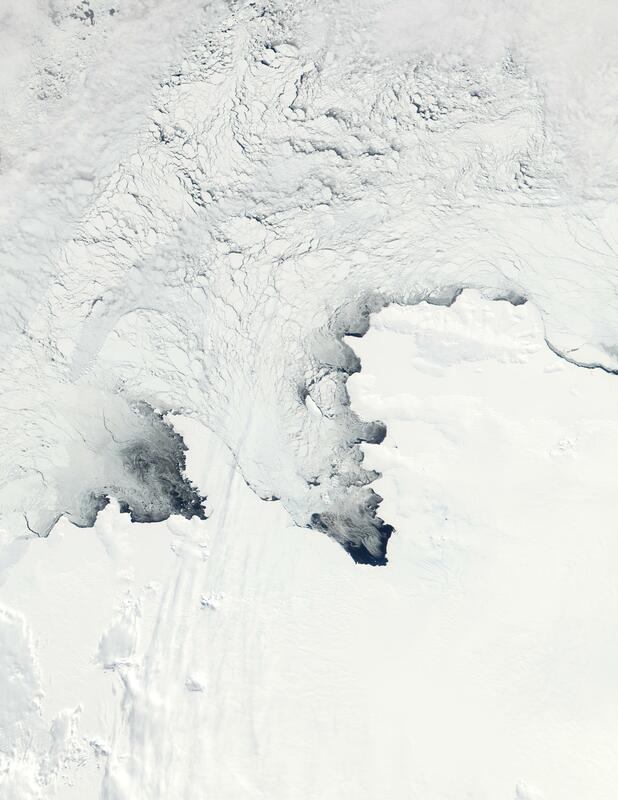 This true-color MODIS image shows the Walgreen Coast, Eights Coast, and Amundsen Sea. It was captured on October 23, 2001. Note: Often times, due to the size, browsers have a difficult time opening and displaying images. If you experiece an error when clicking on an image link, please try directly downloading the image (using a right click, save as method) to view it locally. The Visible Earth is part of the EOS Project Science Office located at NASA Goddard Space Flight Center.